Home / Blog / Our Tubes Have Been Printed! Our Tubes Have Been Printed! With 2 weeks until the official launch of My Trusty Little Sunflower Cream, our beautiful eye catching new tubes have been printed and are ready to be filled! We made the long journey across to Suffolk to see the printing take place and are very excited with the results. Now all it needs is the wonderful cream and we are ready to go! Moisturising skin around the globe as we raise funds for patient care. 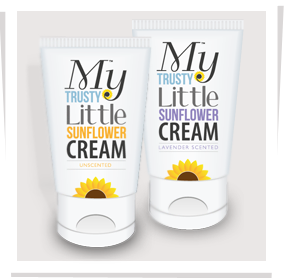 Find out more about the history of My Trusty Little Sunflower Cream and buy now to find out why everyone’s talking about My Trusty.